Describing Nikau Bay as the best outdoor accomodation on the Tutukaka Coast is being modest. Nikau Bay is everything Kiwis dream of, but don’t all have access to. That’s why owner, James Johnston, has created this coastal gem. James believes in the restorative power of spending time in nature. For kids - both big (aka adults) - and small. 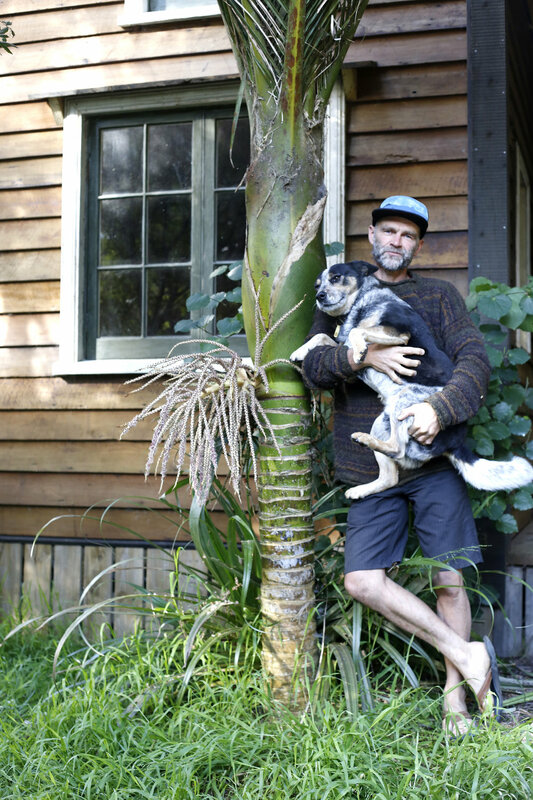 He’s channelled his generosity and landscape design training into developing a small, personalised nature camp on his property at Nikau Bay, 30 minutes drive east of Whangarei. Lucky for us, our good friends discovered this paradise earlier in the year and promptly made a group booking for the first long-weekend in spring. They put the call out and we answered. What we discovered blew me away. There is beauty in every corner of this special place, not least what’s been created by nature. James wants guests to arrive and relax. Hence, you can holiday here regardless of owning a tent and all the associated camping gear. There’s a communal kitchen, hot showers, bunk-room, laundry and toilets. Boy did we cook up a feast in the kitchen - mussels harvested from the local harbour, meat from the Whangarei butcher steamed in the portable hangi, Reubens homemade focaccia and marshmallows roasted over the fire. To cook, Lidded BBQ or oven. Put flour, salt and sugar into a large bowl. Measure water into jug and mix in bakers yeast and olive oil leave to fizz for 10 minutes. Make a well in the flour, pour water and yeast into flour and bring together with your fingers or a spoon, add the sundried tomato. Put a little oil in the bowl (to stop dough from sticking) and leave the dough to rise in a warm place for 2-4 hours under a tea towel. Once the dough has doubled in size, take out and kneed again briefly then press out into a circle until it’s around 2cm thick. Press olives and rosemary tips into the top, rub oil over bread, sprinkle with flaked or ground salt. Preheat BBQ hot plate with lid down to 160-200degrees c.
Slide dough onto hot bbq hot plate, turn direct gas burners off below the hot plate, and leave the gas burner on the other side of the bbq on high. Close lid of bbq. Check after 35 minutes and keep cooking until golden brown on top. The facilities at Nikau bay aren’t any old buildings. James has built his facilities from reclaimed, repurposed and recycled materials. As a result, the camp feels like it’s been here for generations. Each door, tap, window, and floorboard, tells a story. The construction is solid, the design is considered. But it doesn’t feel forced or over-cooked. James has a talent for creating in that sweet-spot between thoughtful and precious. As a guest you feel instantly at home. In return for James sharing his crafted oasis you find yourself naturally wanting to help take care of this unique retreat. Nikau Bay is one of those things you discover and instantly want to share because it’s so good, but at the same time you want to keep it a secret for fear of loosing its ‘undiscovered’ aura. I have a feeling James has that covered. Although he has more building plans on the horizon - a second bunk room is under construction - James is motivated by sustainability. Thanks to his approach, the beauty of Nikau Bay will continue to be shared and enjoyed by many, for generations to come. Nikau Bay nature escape is part of Te Araroa - New Zealands Trail - a 3000km walking route stretching from Cape Reinga in the North, to Bluff in the South. James provides transport across the estuary and a spot to rest for the night.